Thanks for voting! The winner is #8! This poll is now over. So, can you please help me? 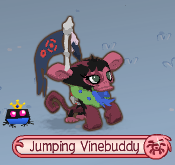 I made a post like this a little while back, but this time for my monkey! So all you have to do, is post a comment with your votes! Which ones do you like the best? If you don't like any of these, please tell me other hats you suggest! This poll will end when one outfit gets 10 votes. Well, I will show you some pictures, and you just have to tell me where these pictures were taken! But please describe the area they were taken in, so I know that you know where they were taken! 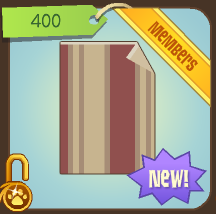 This week's prize is a Bird Feeder! The first three Jammers to get all of the answers correct win the prize! The contest ends when 3 Jammers have won! Oh, and I made a new blog where I will post somse extra stuff! This contest has ended. And I will tell you the correct answers now! Picture number 1 is near the mud puddle. Number 2 is right by the bridge in Coral Canyons. Number 3 is also in Coral Canyons by the waterfall, just keep going right past the waterfall. Number 4 is by the Theater in Sarepia Forest. Number 5 is right above the ducky shop in Crystal Sands. You are all awesome! I will get the bird feeder to you soon! When you see me on AJ, just tell me to get you the bird feeder! If you are a member, I will send it to you right away! So I was on AJ today and - I met Wando20! 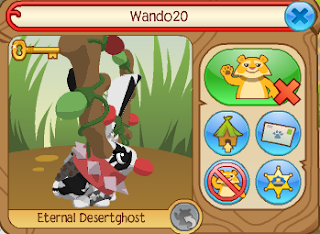 If you didn't know, Wando20 owns a fantastic blog called The Animal Jam Gossip! She is an amazingly nice Jammer! I am sure you will love her blog! So... If you go on her blog, I will give you a digital cookie! Okay? 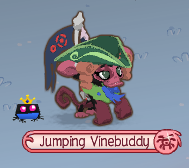 Click her to visit The Animal Jam Gossip! Oh, and... I am having another party soon! It will be in August though, because I am going away soon! But I will have (most likely) will have Internet connection! I will post any new little things that I find, okay? Oh yeah, and there is a new server called Calle! If you could create a new item (Den item or clothing), what would it be? Hi Jammers! My good friend GreenFun told me about another secret color! This one is a secret brown color! You can get this color differently than the maroon color. To get it, you have to make a new animal. But make sure you make it a bunny! Now, before you change your new bunny's or colors, click on the Patterns tab! 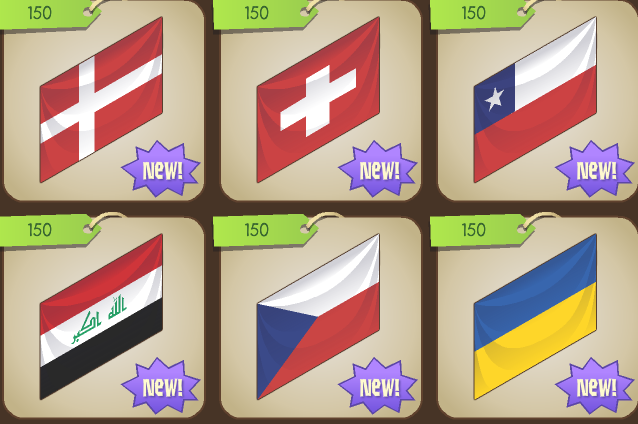 Now choose a pattern for your animal! The color of the pattern should be a secret brown color! This brown looks similar to the other brown color, but this one has a more red-ish shade! Oh, and the game guides page has been moved! If you want to see my guides for the games around AJ, click here! 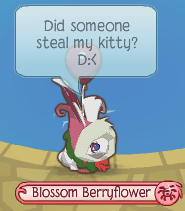 Today, my friend bigcatsfoever found a new glitch! It is similar to the bunny hat glitch, but this time with elephants! To do this, you need the item called "Royal Cape"... They don't sell them anymore... 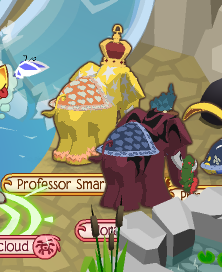 But, if you wear the Royal Cape on an elephant, it turns into a heart cape! And well, heart capes don't come in orange or this shade of blue! Hi! There hasn't been any new news-related stuff lately, but I have been making some new pages and stuff on AJF! 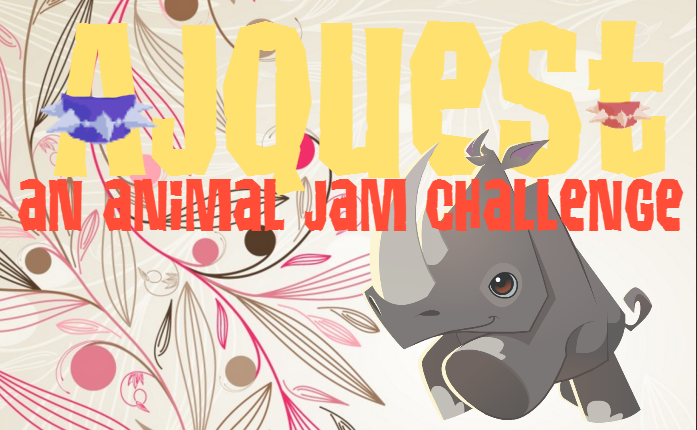 I made a page called Weekly Events, which is like a calendar for stuff that happens on Animal Jam Flash! So be sure to check out what plans I have every week! 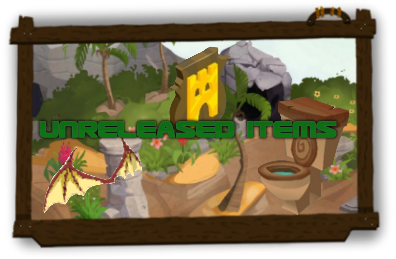 I also made a page called Epic Dens, which I will feature Jammer's dens that I think are EPIC! You can see it here. In case you need to contact me, click here! 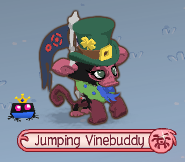 The pet page has also been updated with the rare items that butterfly pets can have, and about giving you pet a bath! Click here to go to my pet page! 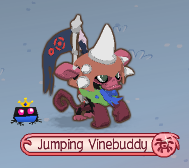 I am also working on making a game guide for EVERY game in Jamaa! So far, I only made a guide for River Race, but I am working on making a guide for Phantom Fighter, and then Spider Zapper! Click here to see the game guide! 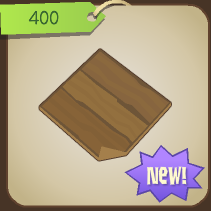 There is also a new page about featured items! 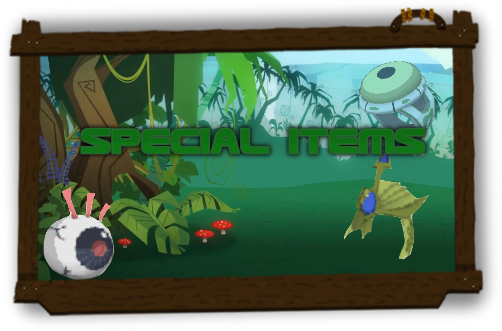 Here, I will feature some items that can be found in the shops of Jamaa! These featured items are also know as the 'items of the week'! I will soo be working on even more new pages! So stay tuned! 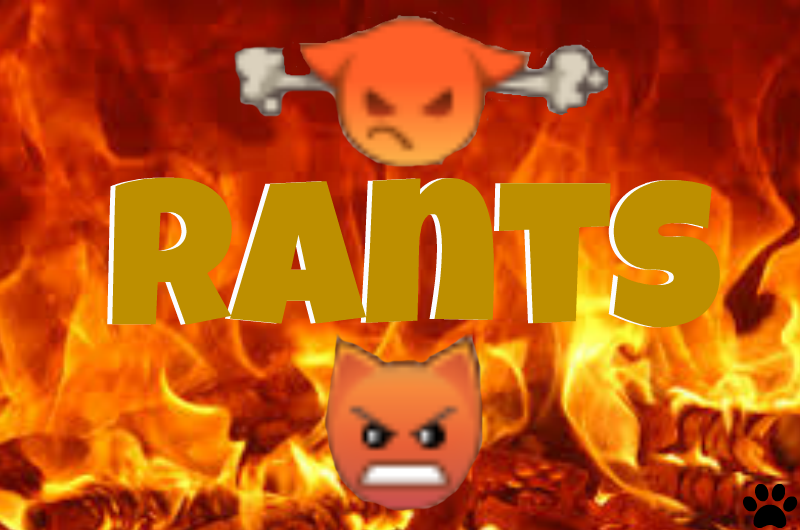 If you have any more ideas, please leave a comment! Hello! I was wondering... Do you have any ideas for AJF? Like, is there anything I should add to the blog? Please let me know, K? I will give you credit! 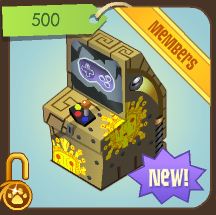 More Claw Machines and Servers! When the pet shop came out in Appondale, the pet shop was crowded in every server, and the Appondale was full too! Everyone wanted to get in! 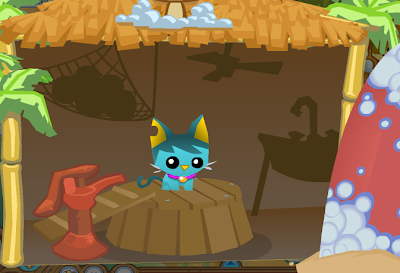 So, the HQ put mini pet shops all over Jamaa! And now, the new plushies are out, and Crystal Sands and the Juice Hut were full! So guess what! 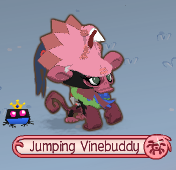 There are more Claws in Jamaa now! So Crystal Sands and the Juice Hut won't be so full anymore! The first box is empty! My kitty, Mirrorsky, used to be there! But she is gone! It's almost like I have an invisible cat! Is your cat missing too? I hope they fix this glitch! The return if the beta item, Cool Hair! And Spiked Hair too! Cool new futuristic furniture! And also the return of Wood FLooring and Dust Striped Walls! 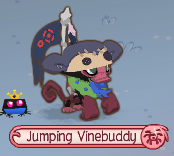 Also, the butterfly pet is out! 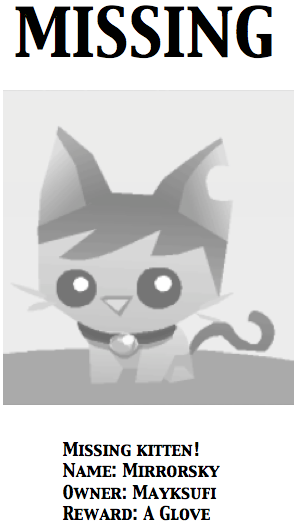 I will update the pet page soon! And... My prediction was right! 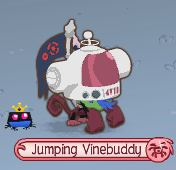 The pet thingy in Crystal Sands is a pet wash!! Hehe, there is Mirrorsky getting a bath! To me, this looks like some kind of plushie machine! What is your idea on what it could be? And there are tons and TONS of new plushies in the claw! New colors for plushies, accessories, and rhinos! So cool! To read the entire new newspaper, click here. 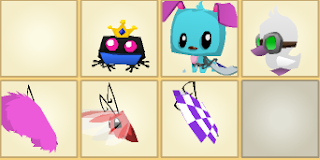 The pet page has been updated with information on butterflies here. The clearance archive and colors pages have also been updated. Okay, now, it is time for the AJ Survey 2! If you want to see last week's AJ Survey, click here. 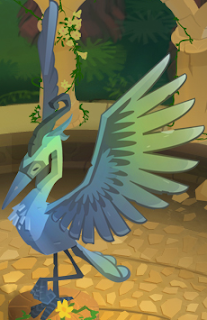 If you could make a new feature on Animal Jam, what would it be? My answer would probably be something like a feature that makes it so only you can get into your den, or so you can block certain Jammers from trading with you. I look forward to seeing you answers! As you may know, Mayksufi's computer charger has broken, and her laptop died. Until her computer charger is fixed, I will make posts while she is gone. I hope you all continue to visit our site! Let's all hope May comes back soon! This post will be deleted once I get a new charger. 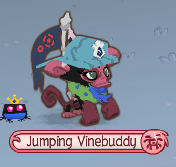 And since Animal Jam Membership helps save big cats, I think the panther would be a great idea! 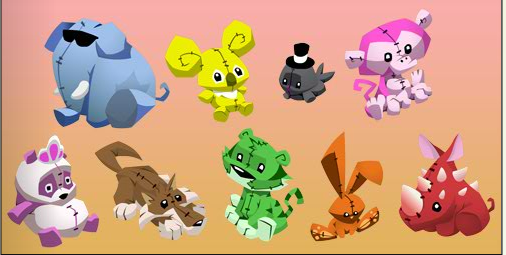 Crocodiles will most likely eventually come to Animal Jam! It seems that almost everyone wants to be a crocodile, and it was even an option in an Animal Jam Poll! Hippos seem to match the style of the rhinos and elephants. Hippos may or may not come to Animal Jam, but I think that they would be perfect! 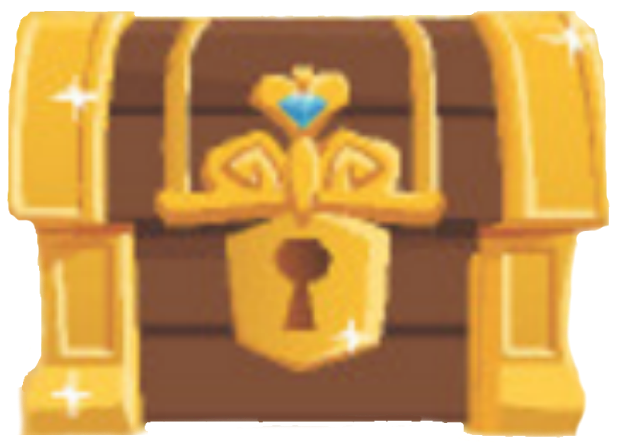 Possibly giraffes will come to Animal Jam. I already can picture what it would look like! That's it on possible future animals! But then again, it may be a pet bath area! Look! Those cloud-like things could be bubble soap! If you look closely enough, it kind of looks like a water pump! Hmmmm! So, do you think any of this stuff will come out? 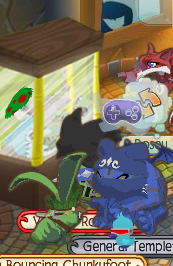 What do you think this new pet shop will be? See? They come in different shapes, sizes, and colors! Just like the other pets do! And next week, a new pet comes out! And butterflies are insects, right? So are ladybugs! And the butterfly is coming out, the ladybug probably will too! 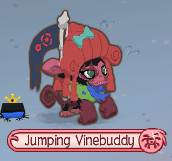 And look, the ladybug is even on the Animal Jam Logo! I could be wrong, but I think that ladybugs will eventually be available as pets! What do you think?